Brooke, Jordan, & Wyatt have left us for bigger and better things in Texas and Louisiana for the summer. Wrigs and I are really sad to see them go, because we have both lost our buddies. Wyatt and Wrigs had loads of fun over the last few months playing together...well let me re-phrase that, Wrigs played by, over, and on Wyatt and the poor kid just took it! The boys playing together one last time, Wrigley was so sad that he pushed Wyatt down...Wrigs is kinda a bully! We need to work on that! Wyatt doing what he does best, attacking everything in sight to put it in his mouth. He's our little vampire. I am putting together a fundraiser for my work, a tutoring center where we give specialized tutoring to children and adults who have poor literacy and who are dyslexic. 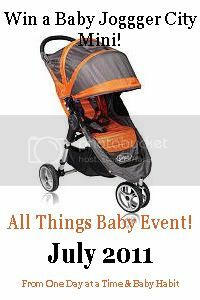 I am REALLY REALLY excited about this fundraiser, because of the great possibilities that it has. We are having a garage sale with all of the employees, and families of those who seek our services. I also want any of you who have stuff to sale to come and sell your stuff. We will have a raffle for I hope some really great stuff, bikes, skateboards etc... as well as a concession stand. Please let me know if you want to have a table at the garage sale, or if you have stuff that you want to donate! YES donate, and just like at the D.I. we can give you a donation receipt! All of the proceeds go to the scholarship program that we have in our tutoring center, we have so many families who cannot afford the $35 an hour fee for their children to come and receive the help that they need to have a better future! 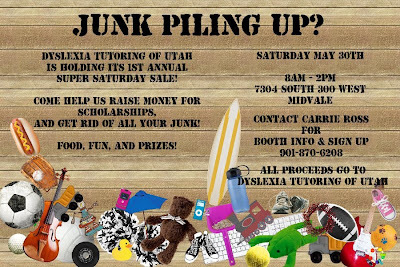 The Super Saturday Sale will be held on Saturday May 30Th from 8am - 2pm in our office parking lot located at 7304 South 300 west in Midvale. Please come join in our effort in "Building Brighter Futures"